Are you a health nut but don’t have the budget to be consistently bled dry by gym fees? Then check out these six budget gyms to get your fitness freak on. Keeping it simple and easy on the pocket, Evolution only does aerobics, weight training and cardio. But we feel this is by far the best place for a no-hassle workout. 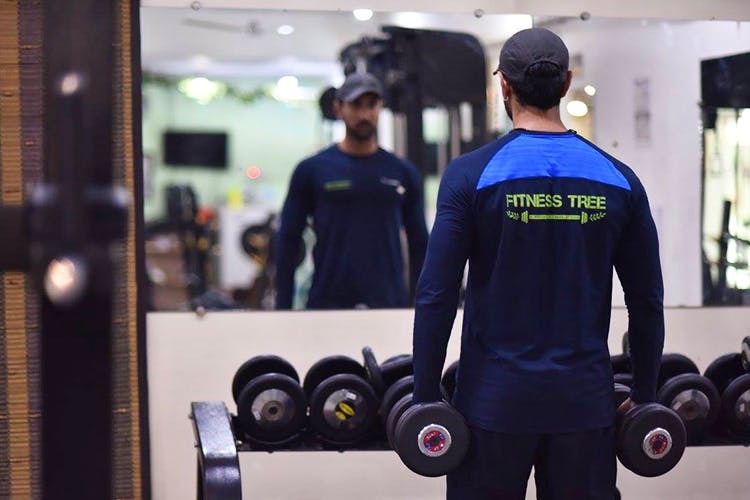 The Gym is a chain in Delhi that has been growing rapidly. With a health store, fitness spa and state-of-the-art-equipment they are a fitness lovers dream. With a focus on each client’s needs, the trainers at The Gym help you achieve your health goals in a timely manner. Cardio and weight training notwithstanding, The Gym also offers a full dietary and training schedule. They do aerobics classes and other group classes from Monday to Friday, and are slowly adding more stuff to their itinerary, so stay tuned. Opened in 2014, Fitness Tree offers an array of services to clients, with all modern equipment. They have discount deals for students. The gym can be accessed from Monday to Friday, and Saturdays are for yoga only. Peak Fitness is a gym that focuses on weight loss and controlling your body weight. The facilities are all top notch, the trainers and nutritionists are friendly and helpful, and they provide specific training regimes depending on your age group and body type. While focusing on cardio and weight training, Body ’n’ Soul also provides functional training. This gym works well for those interested in Crossfit. You can get personal trainers at an extra cost, but the diet and schedule will be provided to you for free.